If you watch the nightly news, you can see plenty of stories about car and other vehicle accidents. A pileup on a freeway. Deaths and injuries. Ambulances. Police sirens. If you’re familiar with statistics about deaths and injuries from car accidents, you might know that 2 million people are killed in the U.S. every year in car accidents, and 32,000 are injured, according to the U.S. Centers for Disease Control and Prevention. It’s not hard, then, to see how people can become very anxious and stressed about driving. 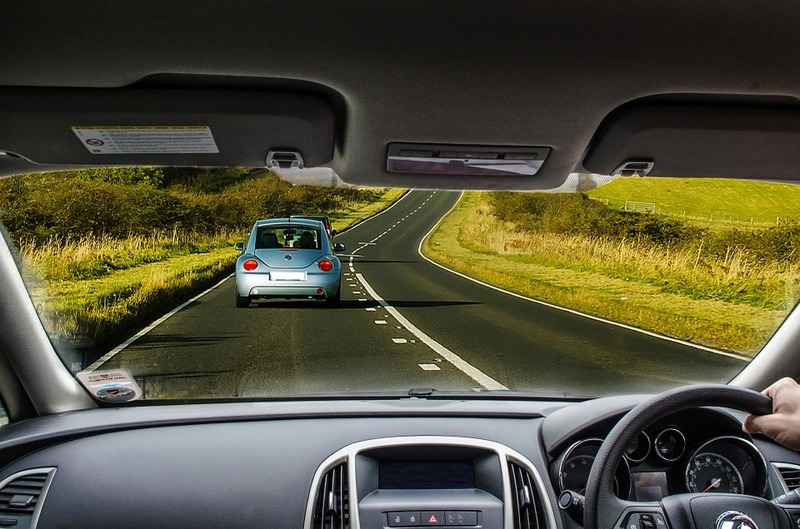 This can be exacerbated if you or your loved ones have actually been in a car accident. Accidents are frightening to be in. You may be dealing with injuries or death as a result of one. If you’ve become anxious, stressed, and unable to relax while driving, it’s understandable. But it’s also something you need to overcome. Being anxious behind the wheel can actually detract from your driving abilities. You become too nervous to think well and make good decisions about traffic conditions and your movements. At the worst, anxiety about driving can actually mean you get panic attacks and can’t drive. Here’s how to become less anxious and more relaxed while you drive. Don’t keep the anxiety in the back of your mind as a constant (but muffled) drumbeat. Admit it openly to yourself: you’ve become very anxious while you drive. Say it out loud! Then, admit it to family and friends, too. Awareness is the first step toward fixing the situation. If you’ve become very fearful while driving, you need to practice driving in slow and safe environments before tackling more complicated ones. You can even start in parking lots of big box stores (Target, Wal-Mart). Early in the morning, these are vast, empty spaces. Drive there as a method of desensitizing yourself to being fearful behind the wheel. Your mind will make less associations between driving and accidents and danger, and more between driving and being safe. If you are less fearful but still anxious, drive in quiet neighborhoods to desensitize yourself. These usually have low speed limits and some cars, but not as much as on, say, a freeway. This almost goes without saying, but: you want to drive safely! It helps reassure your brain that nothing is wrong. It also lessens the risk of accidents! Keep to the speed limit. Obey all stop signs and traffic signals. Merge lanes in the appropriate way, by signaling and checking everywhere. Always be a defense driver. This means: watch out for stupid or careless moves by the other guy or gal. Are you preparing to turn into traffic, and think it’s fine to go because a car approaching you is signaling a turn before it reaches you? Don’t be. The signal could be an accident. Wait until that car actually does turn or passes you. It’s common to feel helpless and scared in an accident. The fear of that can be lessened if you know what to do. Keep a checklist so that you can contact police, medical personnel, and your insurance company should an accident happen. After all is said and done know that driving is a privilege so just enjoy it. Happy driving! As the founder and senior partner of Ellis Law Corporation he heads a team of experienced litigators representing clients in a wide variety of serious personal injury lawsuits including automobile accidents, elder abuse and product liability.